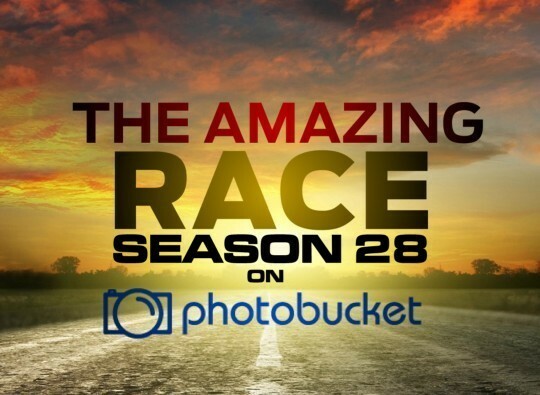 Recap: The Amazing Race 28, Episode 12 – "We're spoiled." Phil tells us these final three social media influences will be flying Premium Class to their Final Destination, the refreshing and new Los Angeles, California! Once in LA, teams must make their way to Angelus Plaza. Tyler & Korey walk right past the cluebox allowing Matt & Dana to be the first team to find the Road Block: Who’s ready to take a leap of faith? For this Road Block, teams will leap off the side of the building to try and grab a clue. If they cannot grab one, they must rappel down to the ground and repeat. 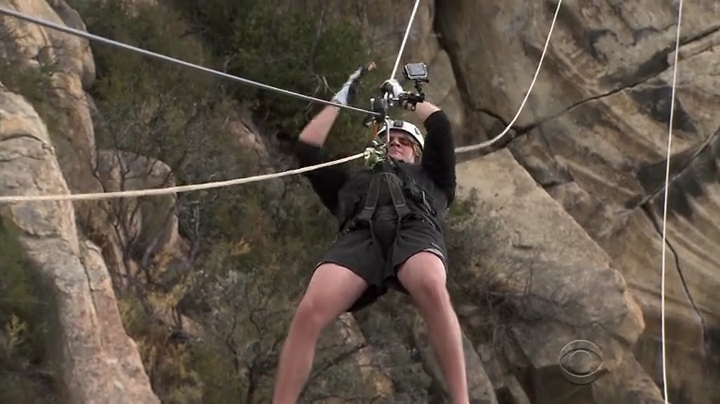 Dana is unsure whether she should do it, but lets Matt do it instead. Sheri & Cole get the clue next and Sheri, as she’s done all season, decides to do it. 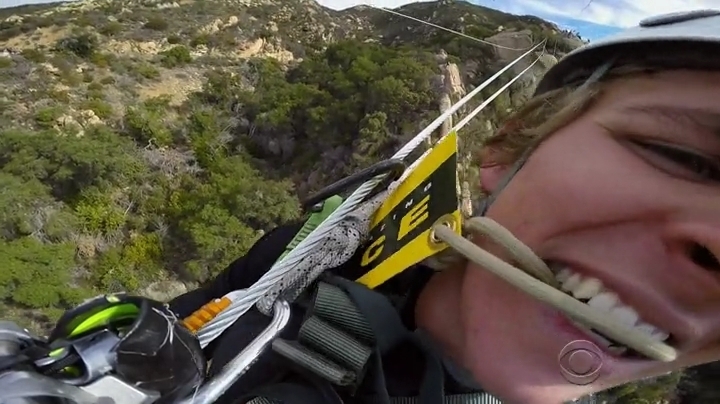 Matt gets the clue on his first attempt and he and Dana can now take a helicopter to Santa Barbara. Sheri goes for her first attempt, but she is too scared to try and grab it. Fortunately, Tyler also fails. Sheri is able to get the clue on her 2nd try while Tyler fails again. He finally gets it on his 3rd attempt. Once in Santa Barbara, teams must head to the harbor, hop into a dingy and search for the Theresa Ann. The fisherman will hand them their next clue. Matt & Dana get some Google help and quickly find the fisherman. They can now make their way to Gibraltar Rock. But they didn’t hold their taxi and must now wait for one to get called. Sheri & Cole also Google, but they think the Theresa Ann is a museum instead of near the museum. They pass the boat several times. Tyler & Korey manage to arrive at the harbor and ask their driver to wait. Sheri & Cole find the clue and try not to lead Tyler & Korey to it. They also let their taxi go and ask Tyler & Korey’s driver, but she doesn’t know Gibraltar Rock. Sheri & Cole still haven’t found a taxi when Tyler & Korey get back to theirs. But all three teams are now on their way. Matt & Dana arrive first and find they must try out synchronized mountaineering. One team member must perform a tryolean traverse to retrieve one half of their clue. That will simultaneously lower their partner down the rock face to retrieve the other half. As Matt & Dana finish, Sheri & Cole arrive. Matt & Dana can move on to Grassini Family Vineyards. Sheri & Cole finish just as Tyler & Korey arrive. Matt & Dana arrive at the vineyards and they pass right by the clue at the entrance. 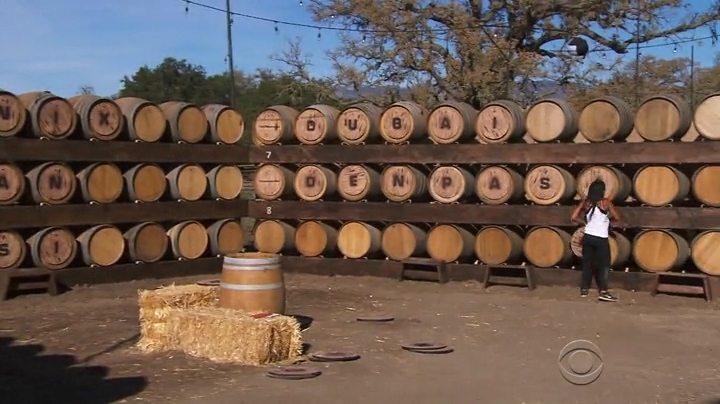 When they finally find it, it reveals the next Road Block: Who wants to roll out the barrels? 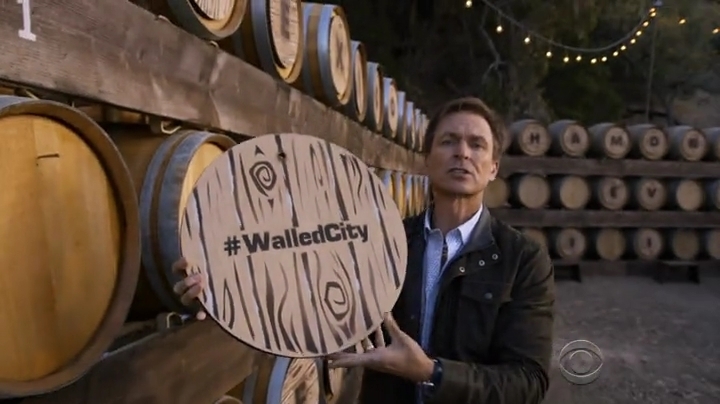 For this Road Block, teams must place barrel lids stamped with hashtags and match them with cities they visited on the Race which they will spell out. Dana has no problem finishing the Road Block and she and Matt can now make their way to the Finish Line by the lake. 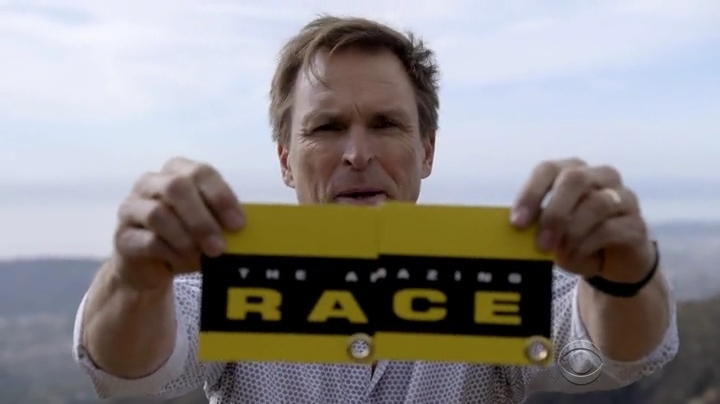 Dana & Matt are the official winners of The Amazing Race: Viral Edition. Sheri & Cole finish 2nd and Tyler & Korey are last. Not even a full cast photo at the Finish Line. Just a damn selfie. Ugh. So that might have been one of the most boring finales evah. Like seriously. First of all this episode was edited just like TARPH2’s (the real one) Final Leg. You could separate each task into its own segment and insert commercials between them. And the fact that you could do that means that this Leg was linear as frak. Oy Vey indeed. The Leg finishing in Los Angeles, or at least, the greater LA area, made it seem like a TAR Canada Leg too. That is, TAR Canada has pretty much exhausted Canadian locations and possible tasks so much that they’ve basically recycled tasks (or done tasks about recycling) or did the most simple, uncreative tasks you could think of. 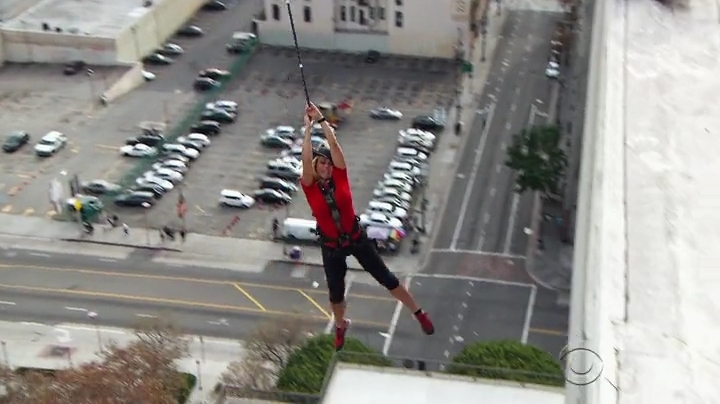 The jumping/clue grabbing was a task from some past season of the Race. Maybe even a finale or even a foreign TAR. That was fun, but the helicopter ride contributes to a linear Leg. With the boat search, it’s a typical needle in a haystack task. And it would appear the Additional Info told teams to use Google to search for it anyway. The mountaineering is a good physical task, but after the building jump, it feels too repetitive and something that should’ve been done in an earlier Leg. But a good location to use at least. Also, the Gibraltar Rock task was basically a TARPHDME Double Road Block. Hehe. The Final Road Block was at least a memory task. But it was a simple one. None of the teams really had any trouble, nor should they have. The clue hashtags were suspicious early on. Either TAR was just trying to be really annoying or they were going to be a Final Task thing. And it was a Final Task thing. An easy one, but at least it existed. Overall, this was a very linear, simple and uneventful Leg. Looking back, all the taxi drama and Dana freaking out were very forced editing to make the episode more exciting than the Leg actually was. Sheri & Cole ran a solid Leg, but not enough to really have a shot to catch up after Sheri’s first fail. 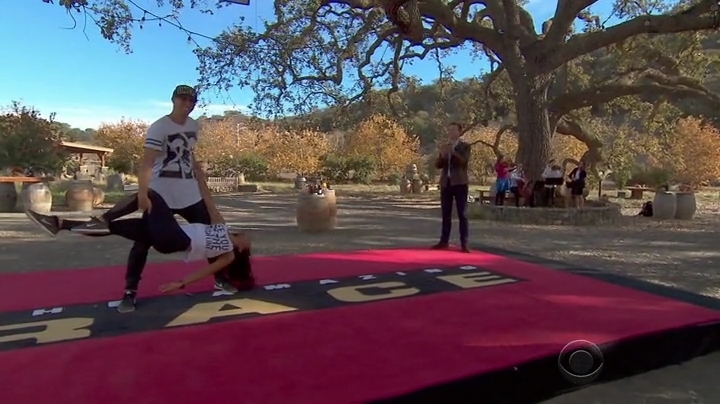 Dana & Matt benefited from the Leg design and the simple mistakes of the other teams. And featuring Tyler & Korey crushing on the hunky jump instructor was basically the first sign they would not win. ← Recap: Kamen Rider Ghost, Episode 29 – Second Coming! Test of the Escape King!